Addiction treatment or addiction rehabilitation (sometimes referred to simply as “rehab”) is the process of medical and psychotherapeutic treatment services which, in its most basic form and at its most basic level, is intended to help addicted individuals stop compulsive drug seeking and use. Ideally, it addresses underlying and core clinical issues and brings a patient to a place of recovery, whatever that personal recovery looks like for that individual. The goal of addiction treatment center is to treat the addition and other related clinical issues to ultimately bring the individual to a place of healing. It should address the medical, psychotherapeutic, family systems, social and life skills/vocational issues of an individual in order to move them from a state of dependence to independence and allow the individual to begin to engage in a high quality of life. it can be done in a number of different settings with a number of different clinical approaches and philosophies. It should utilize evidence-based practices and modalities using individual, group and family therapy settings, medical and psychiatric care and supportive approaches, including holistic mind-body-spirit practices, life skills support and training and necessary training and support for the individual while entering or reentering college or the workforce. It should approach the individual as a member of the family unit, involve the family unit in the treatment experience and continuum and work in collaboration and conjunction with other treatment professionals who may be working with the identified patient’s family members in order to offer transparency within the family and treat the entire family unit so that the entire family may engage in a recovery process. Addiction treatment is NOT personal recovery for the individual nor specifically the 12 Steps, although it can support and work in conjunction with the 12 Steps and other personal recovery systems, approaches and platforms. it is a clinical service meant to address clinical issues whereas personal recovery, whatever that may look like to an individual, is a personal journey outside of or working alongside clinical treatment programming that brings about positive change. Addiction and alcoholism as defined by the 12 Step fellowships (the “hopeless” variety) is not the same thing as the clinical spectrum of Substance Use Disorder and not every individual needing help through addiction treatment is an addict or alcoholic as defined by the 12 Step fellowships. In short, someone that falls clinically on the spectrum of having a Substance Use Disorder may not fit the definition of what the 12 Step fellowships call an “addict” or an “alcoholic” although that individual has an issue with substances and substances are obviously causing them problems in their life. Addressing substance misuse is simply the most basic purpose of addiction treatment, with its greater purpose being to address and treat the attitudes, behaviors, trauma, relationships, self-esteem and the way the individual views themselves, their place in the world and the way they interact with the world around them. Think of it this way: Two twenty-three year old male patients from the same local area that enter treatment for opioids may on the surface look very similar, however each of them are potentially dealing with very different issues: mental health issues, education, family issues, different beliefs, attitudes, potential trauma, etc. Therefore, although on the surface these two patients are identical, they may be dealing with very different issues and the clinical approach to their treatment and what tools and techniques are used must be different to make sure treatment is effective. Helping them to conclude that opioid use is causing a problem for them and getting them to stop that opioid misuse is simply the very beginning of the treatment process. 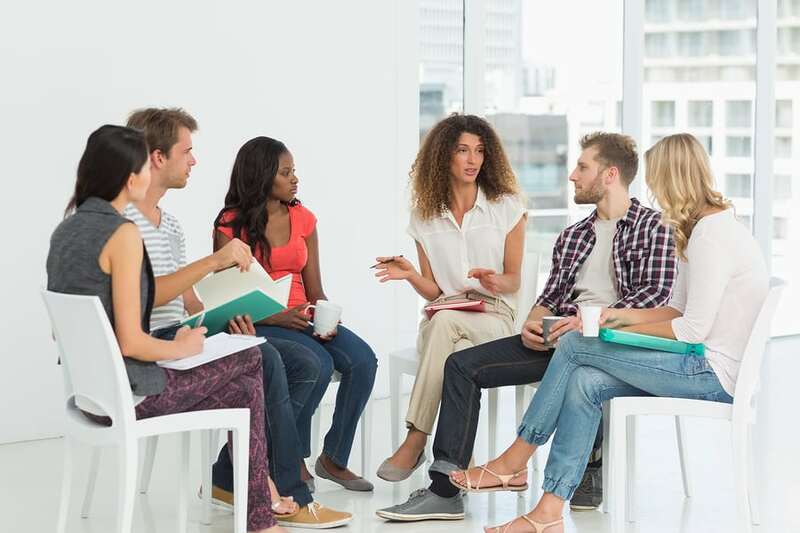 Addiction treatment is a clinical approach to both substance misuse but also to aid the patient at identifying, addressing and overcoming the underlying issues they are dealing with that led and continues to lead to addiction. Addiction treatment should lead and support a patient into overcoming those issues, learning tools to actively address and deal with those issues, aid them in beginning to find purpose, direction and healing and then set them up for their best chance of a successful life and sustainable recovery.